Sierra Leone is making good progress in several areas of economic and social development. This is more so when compared to the state of affairs President Ernest Bai Koroma inherited over six years ago. One is not, in anyway implying that nothing was done by past Governments. However, much should have been achieved, if previous leaders had placed the national interest above all else. Providing astute leadership for a country once brought down by the effect of a civil war is all a leader can do, to turn things around for the better. This was lacking, frankly. But the election of president Koroma helped change things for the better. 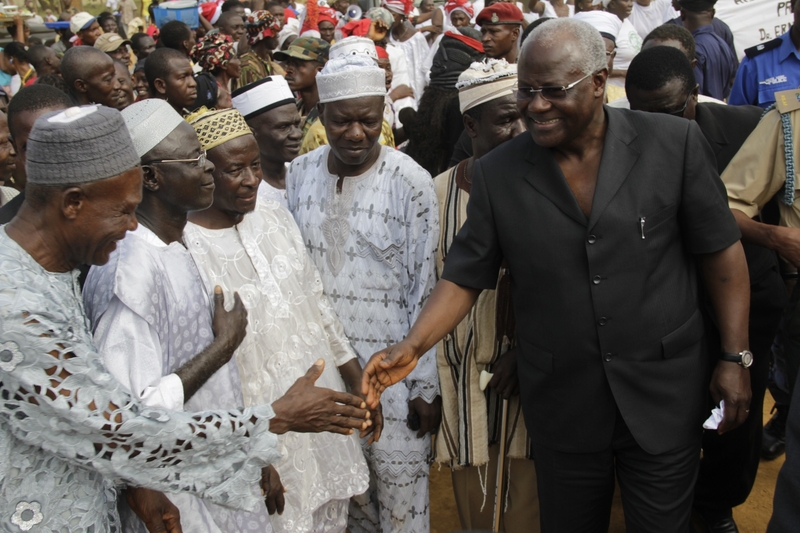 From the efforts of the government in fixing the country’s infrastructure, to trying to stabilize the economy; fostering the country’s ties with its development partners, President Ernest Bai Koroma continues to make inroads in all directions. Legacies must serve as determinant factors in celebrating the life of someone. Failure to perform means, failed legacies left behind. As some of us – supporters of the government have always maintained, the legacies of the Koroma Presidency are as good and tangible as his desire to leave Sierra Leone in an enviable position. But in all of this, there is the aspect of how those he has appointed to office, should work hard to make an impact on the affairs of state. The Sierra Leone Embassy in China is no exception to those expected to provide a supportive role to the President, if his drive towards a prosperous Sierra Leone is to succeed. The Embassy is truly resolved to support the drive to national prosperity. Take for instance, since Ambassador Victor Bockarie Foh was appointed by President Ernest Koroma. He has been engaging relevant sectors in the People’s Republic of China in ensuring that Sierra Leone can make use of new opportunities. Not only is he fostering the relationship between the two countries, he is also encouraging trustworthy investors from Asia – especially China, into Sierra Leone. The Embassy in China has been providing leadership towards an Economic Free Zone that involves countries in the Makona River. And only about three weeks ago, the Ambassador was in Sierra Leone with potential Chinese investors where they discussed the issue with President Koroma, who has taken the lead on behalf of the Manor River Union Leaders. The Makona River Free Zone (MRFZ) is designed to work on an area across Sierra Leone, Liberia and Guinea in West Africa, and through construction of harbor, railway and energy related infrastructure works, promote the utilization and development of natural resources including mining, forestry, agriculture and fishing. The three countries will work together to promote local production, West Africa economic integration, cross boundary investment, as well as regional social and economic prosperity. Main components of the project include; Foya, Koindu and Guekedou Free Zone – land development, industrial facilities to build rubber processing plants in Liberia, urban infrastructure, hydro power stations and the development of natural resources. The involvement of China as an economic power, second to the United States, is crucial. This is because the magnitude of financial resources and the industrial capacity needed for producing the expected result makes it the most appropriate partner. 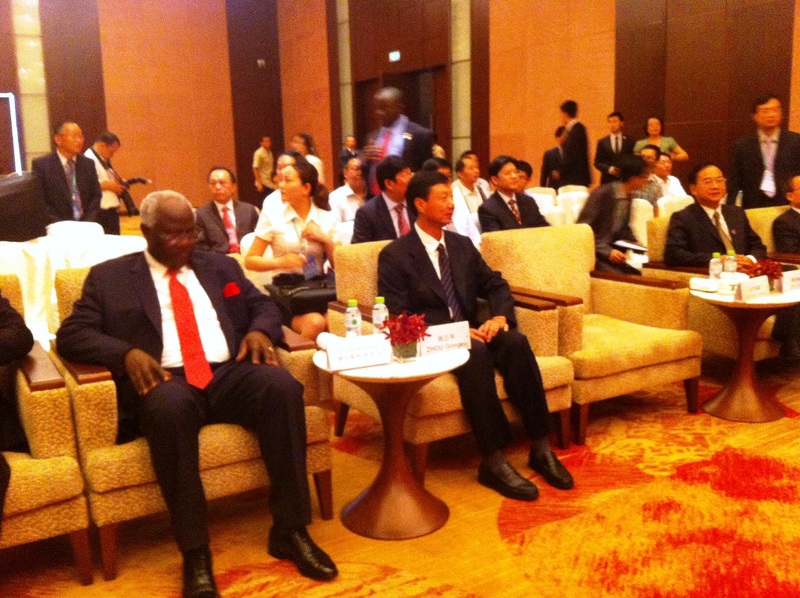 In fact the Sino-Africa ties have, for decades given a new roadmap for development cooperation between the two. The FOCAC Beijing Action Plan (2013-2015) makes clear China’s will to continue in supporting Africa’s development. On the 11th March, His Excellency President Ernest Bai Koroma committed the will and support of the leaders of Mano River Union towards this Free Zone Project. All things being equal, a summit of MRU Leaders is expected where this crucial and timely Sub Regional Development project will be discussed. This is positive development. Also, by working with Chinese state financial institutions like the Export-Import Bank of China (EXIM Bank) and the China Development Fund (CADFund), the Embassy knows that it has a leading role to play, in providing strong advocacy and leveraging funding support from China, towards the full implementation of development projects in Sierra Leone.